Product code: 1362 Categories: Sold Items, Sold Rings. 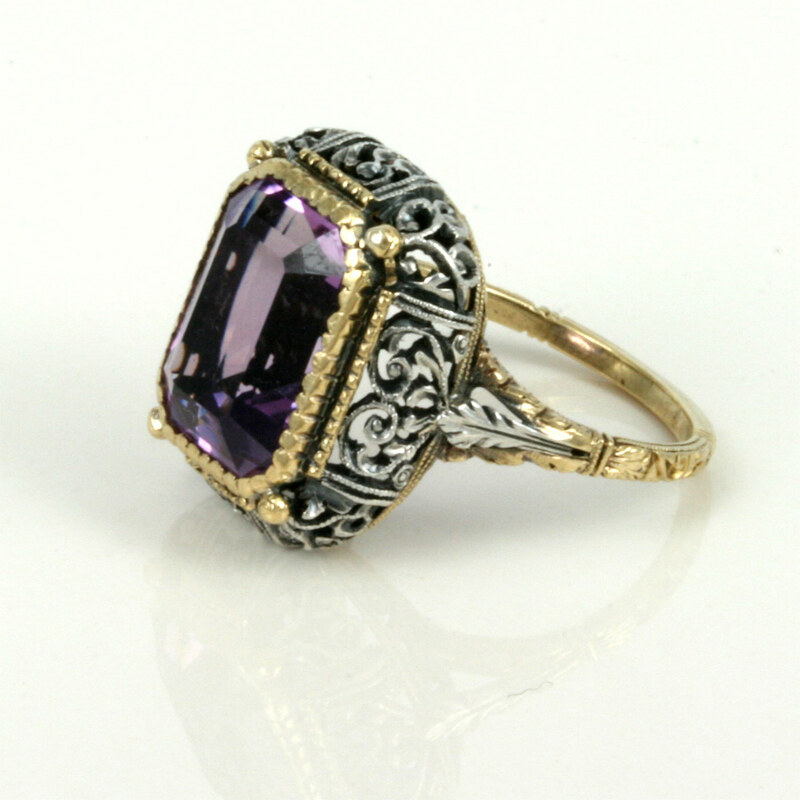 Here is a antique ring from the early 1900’s that will just captivate you every single time that you wear it. With so much detail in this ring, it will always be admired. Hand made in 18ct yellow gold and silver, the ring is set with a superb vivid amethyst that looks so good amongst the gold and silver. This ring is just amazing, and will always be a talking point.